Cairo-based transportation startup Swvl has raised tens of millions in its Series B round, the startup announced yesterday. The round comes at a valuation close to $100 million, company’s CEO Mostafa Kandil told MENAbytes, a first for an Egyptian company according to the publicly disclosed data. Fawry, the Egyptian fintech is the only other company to have reached the nine-figure valuation but that was when the company sold 85% of its stake to a consortium. Mostafa declined to disclose the exact size of investment but a source with knowledge of the matter tell us that it’s between $25 million to $35 million. The statement by Swvl labels it as one of the biggest rounds of funding in MENA. “We will also continue developing world-class technology that solves the daily struggle of commuting in emerging markets. This round is the biggest round of funding for a tech startup in Egypt and one of the biggest Series B rounds ever raised in the MENA region,” he added. The round was co-led by Dubai-based BECO Capital, Africa-based investor DiGAME and global investor Silicon Badia that has offices in New York and Amman. All three of them had also invested in Swvl’s $8 million Series A in March earlier this year. Other returning investors include Saudi-based Raed Ventures, Kuwait’s Arzan VC, Oman Technology Fund, and EDventure Holdings chairman Esther Dyson. Cairo-based Sawari Ventures also joined the round, becoming the first Egyptian VC to invest in Swvl. Jordan’s Dash Ventures and Emilian Popa also participated. 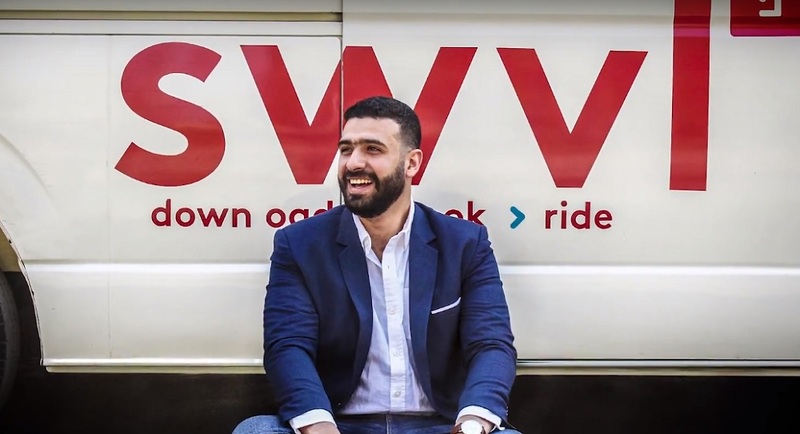 Founded last year by Mostafa Kandil who was previously with Careem, Ahmed Sabbah and Mahmoud Nouh, Swvl is currently available in Cairo and Alexandria. The startup connects commuters with private buses, allowing them to reserve seats on these buses and pay the fare through company’s mobile app. Swvl’s service is available on 200 fixed routes in the two cities. The mobile app, which is available for both Android and iOS, suggests users the shortest possible journey time based for their destination based on the nearest Swvl stations. The apps have over a million users who are making hundreds of thousands of bookings each month. The company has over 1,000 buses registered with them. Swvl may be the leading player in this space in Egypt but it’s not the only. Uber and Careem have also started their efforts to grab a piece of this pie. Uber has already rolled out Uber Bus for some routes in Cairo and Careem is expected to launch a similar service early next year. Buseet, another Cairo-based startup that connects commuters with buses has also launched its mobile apps recently, after raising a seed round from Cairo Angels and 500 Startups. Mostafa, Swvl’s CEO doesn’t mind the competition. In an interview with MENAbytes earlier this year had said that he tells his team to stay focused and continue doing what they’ve been doing regardless of who their competitors are. And Swvl does not want to confine itself to Egypt or even Middle East. They’re going after all the emerging markets that suffer from ineffective public transportation system and customers have no good options other than ride-hailing services, which, sometimes could be very expensive. “In emerging markets, commuters are torn between two extremes: expensive on-demand ride-hailing services and less than reliable and inconvenient public transportation. This is coupled with a supply-side that operates at low-efficiency levels. Swvl comes in to fill in this gap by providing an alternative that is more reliable and convenient than public transportation yet cost competitive,” noted the statement. “We are seeing ourselves as more of an emerging markets play and hence we want to expand beyond the Middle East,” Mostafa told Reuters yesterday. The company plans to launch in Manila in the first quarter early next year, followed by few other cities in Philippines, Vietnam, and Thailand. They’re targeting to be in seven megacities by the end of next year. Going Careem and Tajawal route, Swvl will also use the latest funds to open an R&D facility in Berlin.